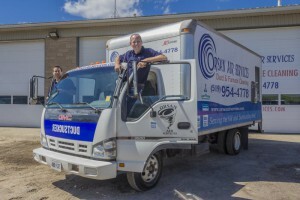 All of us here at Orsan Air Services are proud to offer our duct cleaning services to the people of Heidelberg, Ontario. Whether you need your ducts cleaned, A/C servicing or your furnaces cleaned…we can help! Having your ducts or furnace cleaned by our professional duct & furnace cleaning technicians can save you money on your monthly energy bills and also greatly improve the quality of the air in your home or workplace. Contact us for duct cleaning services in Heidelberg.